On arriving back in to the UK a couple of months ago from my time away teaching and coaching in Chile for the last 4 years, a few weeks ago I contacted my old Secondary Physical Education PGCE Course Leader, Will Katene, to ask if he would like for me to come and present about my journey and experiences to his next cohort of Physical Education teachers graduating this year at their last Seminar Day where they receive the news as to whether they pass or fail their PGCE year and gain Qualified Teacher Status. Will bit my hand off and agreed that I could come down to present to this students. 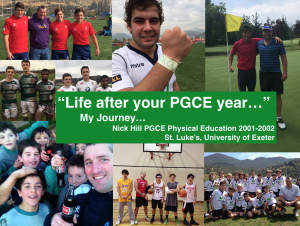 It’s 15 years to the day that I completed my Secondary Physical Education Post Graduate Certificate in Physical Education at St. Luke’s, University of Exeter, UK. Giving this presentation to the next cohort of Physical Education teachers graduating this year is a very ironic moment in the sense that I find myself in the exact same position as I was back then sat in the lecture room, but this time I’m doing the presenting and not the listening. Life has gone full circle… as I currently seek where my next challenge/opportunity/job will be… just like back then when I was wondering where my first full-time teaching placement would be…?! 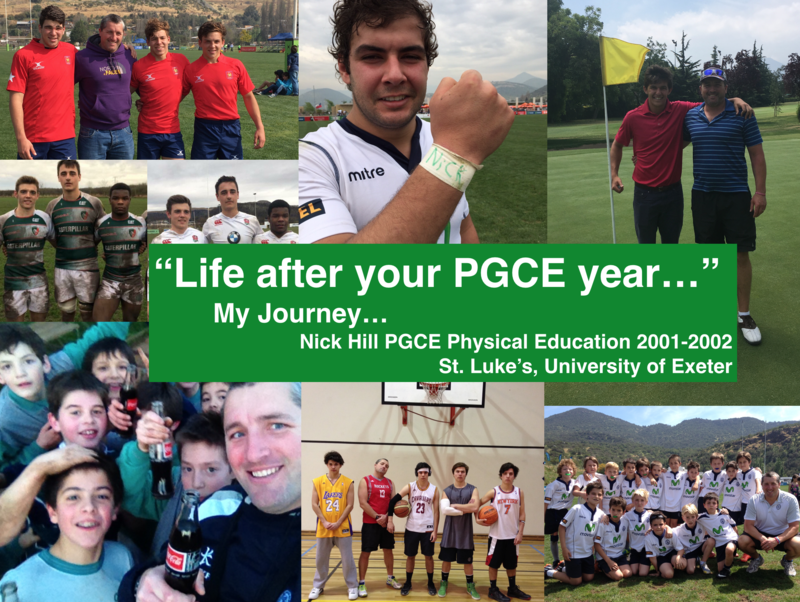 I was one of those teachers at the time that hadn’t secured a teaching job upon completing the PGCE Physical Education year. 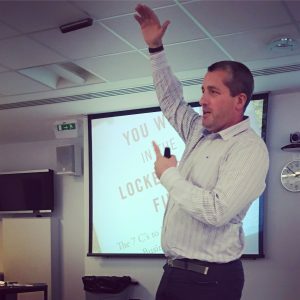 In this Blog article I will share with you some of the messages I shared with the new teachers, some of the things that they will see when they go into their new schools in September and the advice I offered them based on my 15 years experience so far… It will be in 3 parts. 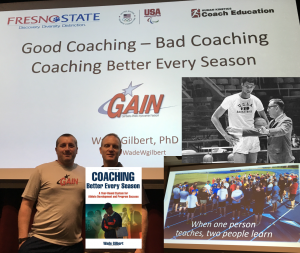 Being able to learn from Wade Gilbert through the GAIN Network have been fantastic new learning opportunities for me. Wade was able to learn from the late great John Wooden first hand and the teachings and messages he is able to pass on to us are priceless gems. One in particular is “when One person teachers Two people learn”. 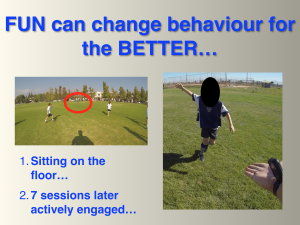 So not only can the pupils learn through different experiences, e.g. when helping/teaching a fellow teammate, you the teacher can learn new things at the same time when you’re coaching your players. 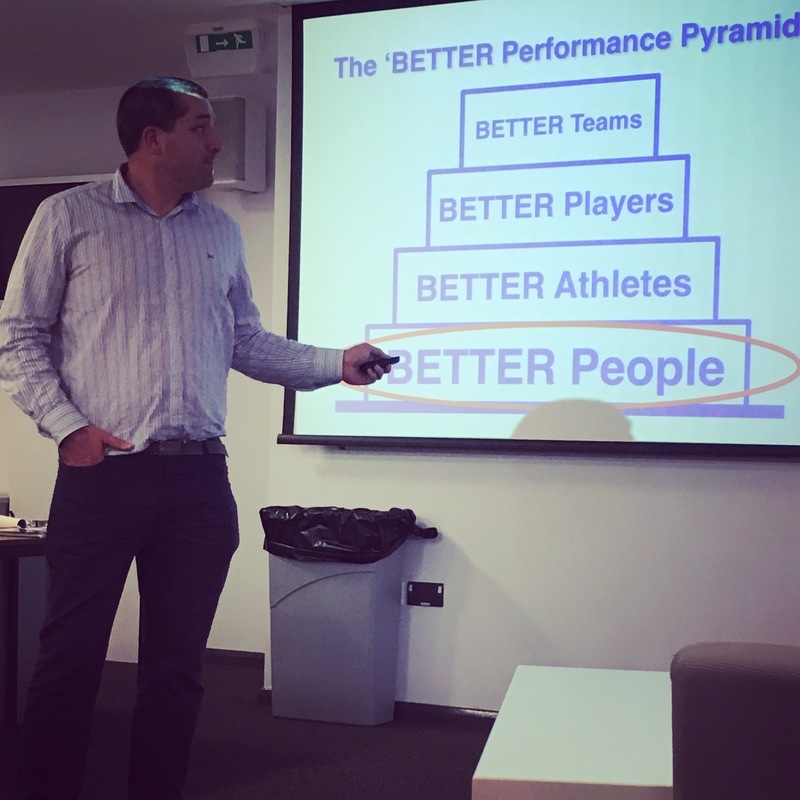 Taking inspiration from when Sir Clive Woodward shared this idea in his book Winning! I use this at various times to make a point… The original paragraph has all the letters in the same size and font and only stays on the screen for 5 seconds. You have to count how many Fs you see on the screen before it disappears. There were 2 people out of 30 who saw 6, so I did the classic teaching decider of Rock, Paper, Scissors to work out the winner in the fairest fun way. So one teacher already has a head-start in her career. If only Wade’s book was published 15 years ago when I was graduating, I’d be an even better teacher and coach than I am now. I highly recommended to them all that they should buy this book. It is a game changer! 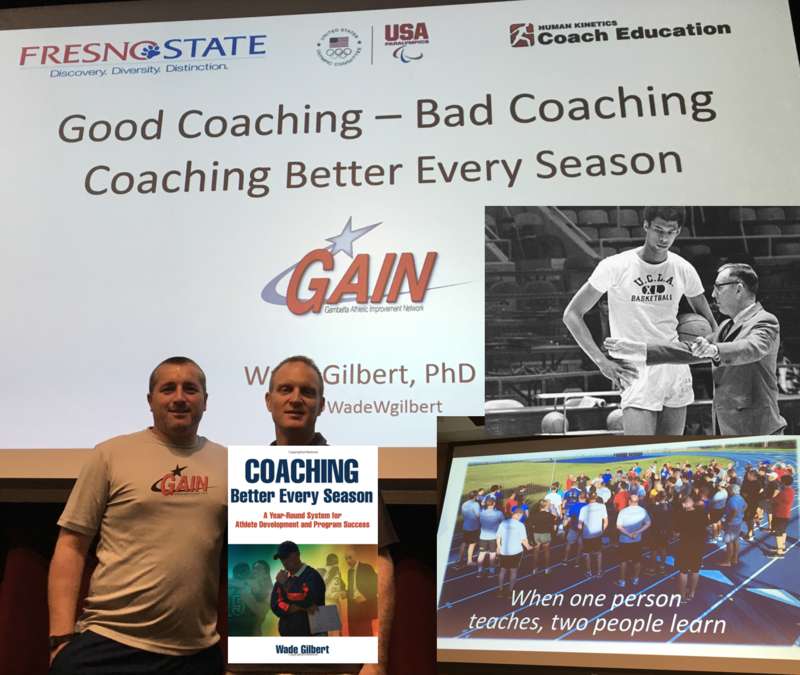 John Wooden would say that Teaching is Coaching and Coaching is Teaching. 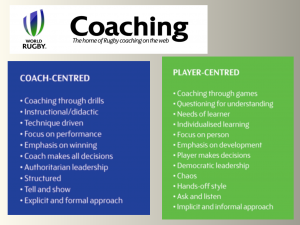 So it doesn’t matter what scenario you find yourself in… what level of athlete you are training… what type of player you are Coaching… what game you are Teaching… “Teaching is Coaching and Coaching is Teaching”. 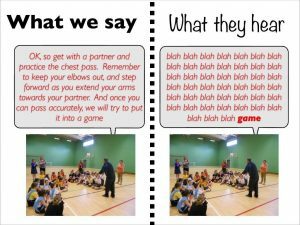 So whether you are in a Physical Education lesson you are Teaching and/or Coaching or in a training session after school you are Coaching and/or Teaching. The words are synonymous. Is it about the adults or the kids…?! 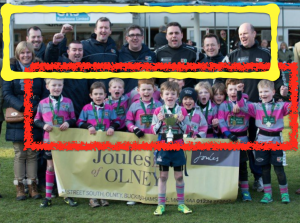 You’ve got a Head Coach, an Attack Coach, a Defence Coach, a Forwards Coach, a Backs Coach, the Strength and Conditioning Coach, the Physio and the Team Manager. Are your lessons about you the teacher or the pupils you are teaching…?! 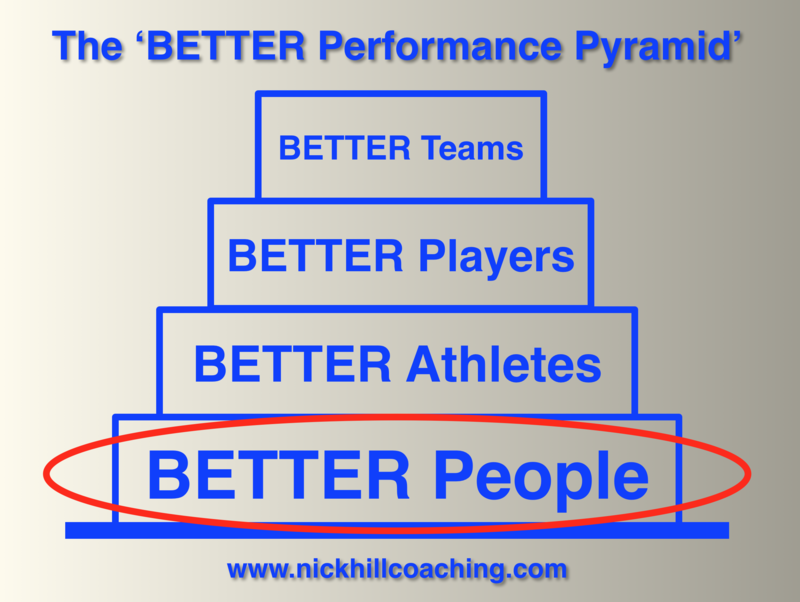 Are your sessions about you the coach or the players you are coaching…?! What are your Standards and Expectations…?! If you have LOW expectations then you will set LOW standards and thus people will only aim LOW and therefore achieve LOW. If you have very HIGH expectations then you will set HIGH standards… but players may never meet your HIGH standards and reach your expectations BUT they will sure strive to achieve them and these pupils will achieve far more than if you had LOW expectations and set LOW standards. What routines are you going to create to maximise learning time…? What routines are you going to put in place to make your lesson run as smooth as possible…? 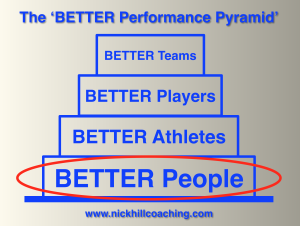 Which rituals are you going to grow with your players to develop your relationship with them…? Which rituals are you going to create with your pupils at the beginning of lessons…? What are you going to do development this Hu…? 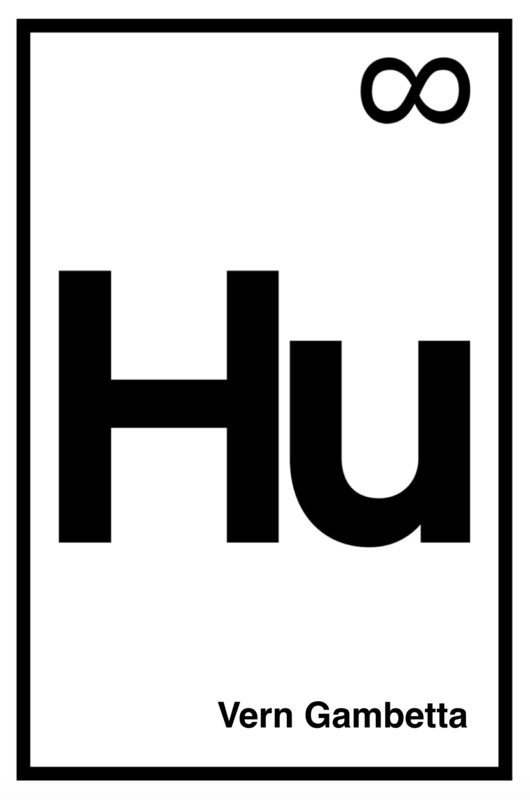 What interactions are you going to initiate with your players to grow this element…? 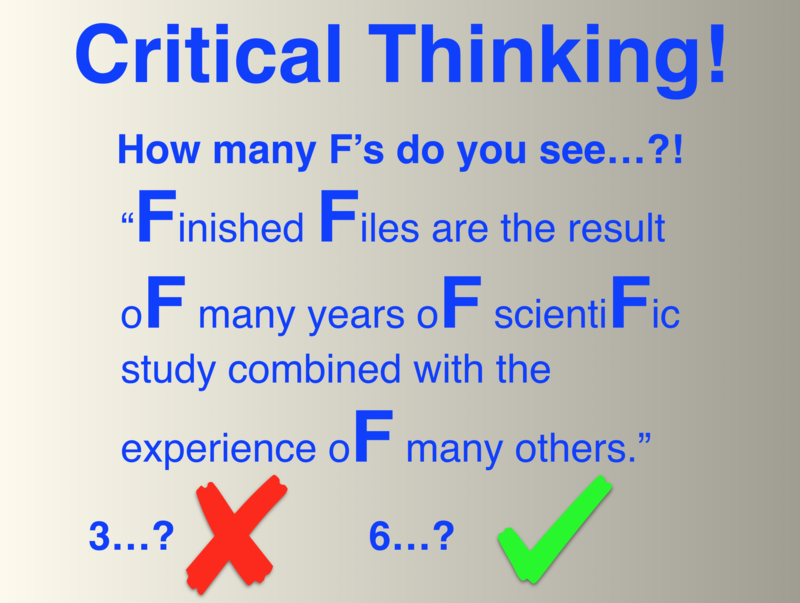 What opportunities are there throughout the day to nurture this element…? Quite often as I would walk past someone I would just do some form of non-verbal communication… e.g. a knuckle fist tap with them, a nod, eye contact. The key is some form of acknowledgement. When players arrive at a training session I would ask them about how their day was… or something about an event that they were at that I had seen through Social Media… It could be anything… but the important aspect to acknowledge is that it is something. It might not be a big deal for you as coach/teacher but I’d guarantee it is a MAJOR deal for the pupil/player! Because once they cross the white line there is nothing you can do… You can do all the shouting in the world but in the heat of the moment where one of your players is about to pass or tackle… they are focused on that task at hand and will not hear you. 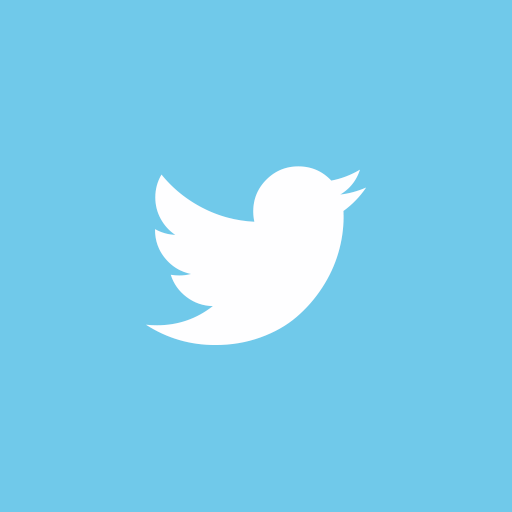 So why are you shouting…?! Is it for the players’ benefit or more for your own sanity…?! 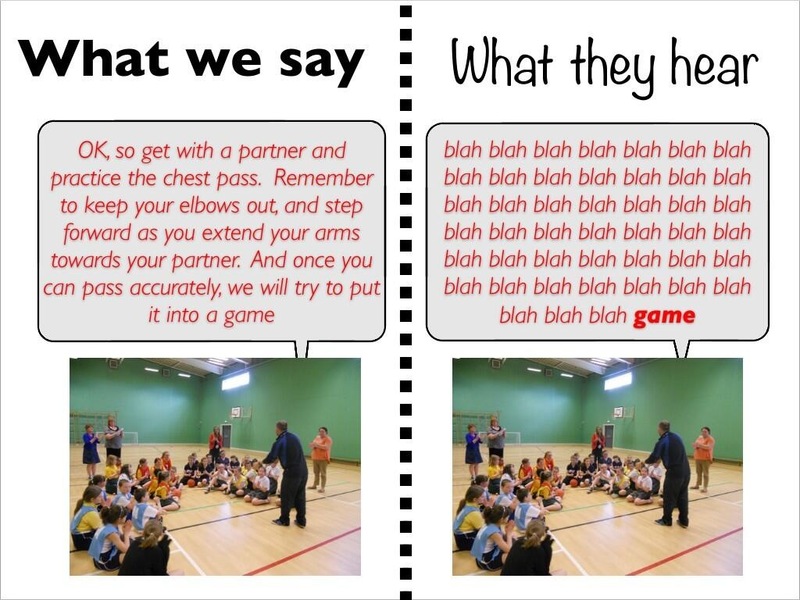 Or is it to please the parents on the sideline because they expect you to be shouting at the players…?! Thinking that it is actually helping the players! As soon as the game kicks off your best laid plans can thrown out of the window… So how will your robots cope when the computer programme no longer works…?! What will the team do when the Captain is ill off school on matchday…?! How will the team cope when the “best player” goes down injured in the first 10 minutes and can’t carry on…?! Do they have to rely on you now because you haven’t developed their leadership and decision making skills…?! 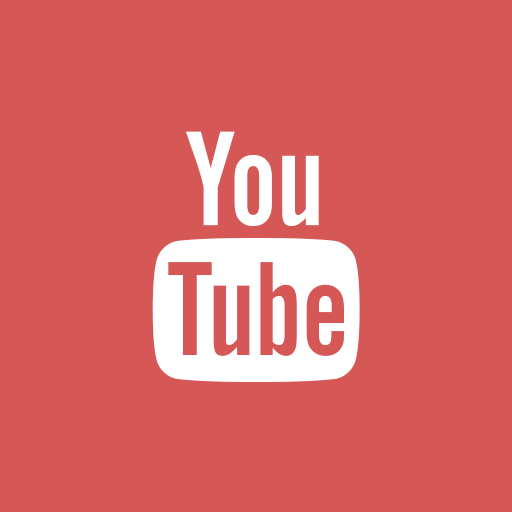 How often do you hear the comments: “When can we play a game…? !” How many teachers leave the game to the end because they have behaved well…?! 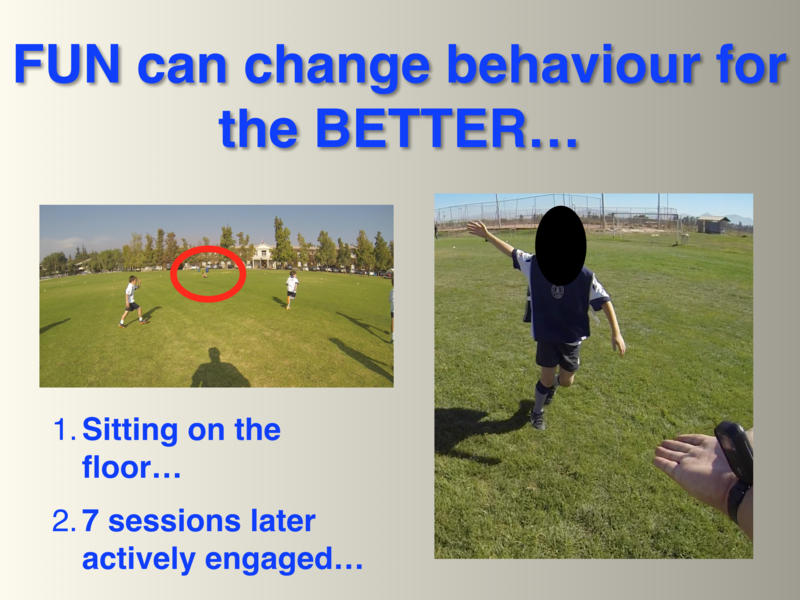 The last message I gave the teachers with regards to teaching/coaching was to ensure your Physical Education lessons… Games lessons… Training Sessions… are Fun!, each pupil has loads of touches of the ball, you stretch them by setting challenges just beyond what they are capable of where they make mistakes… and making mistakes is part and parcel of the learning environment and become seen as “normal”. 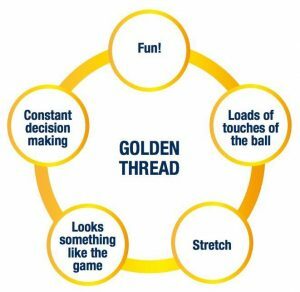 It needs to look something like the game which means players need to learn through games not stood in a line waiting for their turn in mindless Drills! 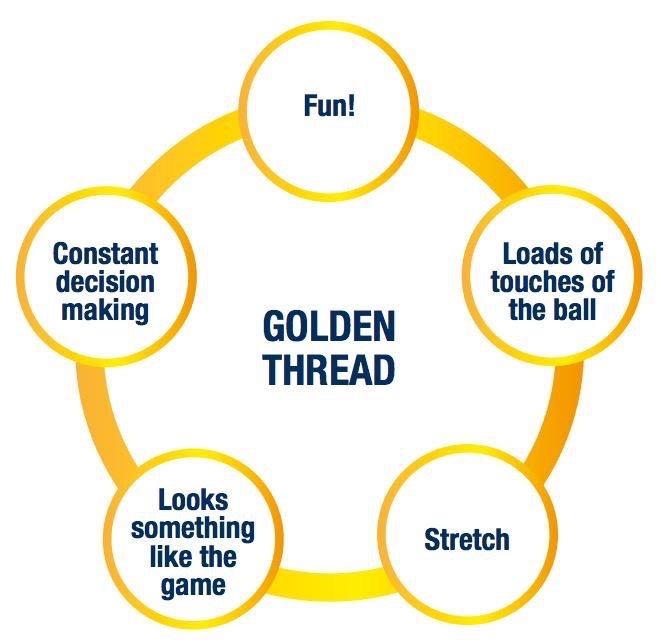 That pupils are constantly making decisions for themselves within the context of the game that they are playing… because that is what they are going to have to do in a game for a Physical Education assessment or a inter-school match on Thursday after school. So by simply changing the dull, boring and “difficult” steps into something novel… interesting… different… and “challenging”… (aka Practice Design) they were able to engage 66% more people to walk up the stairs. So something that is viewed as more “difficult” than catching the escalator actually engaged more people. 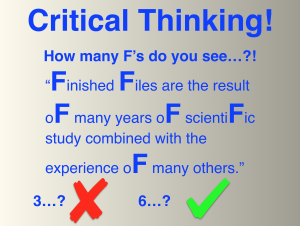 What lessons can we draw from this social experiment to our everyday Physical Educations lessons…? …our practices after school…? 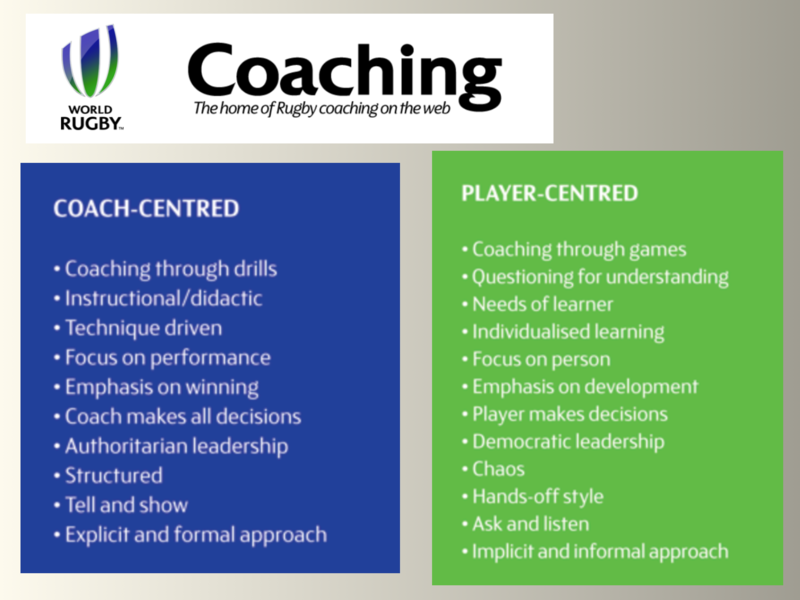 I shared with them a story from my recent experience of coaching U8s rugby in Chile. 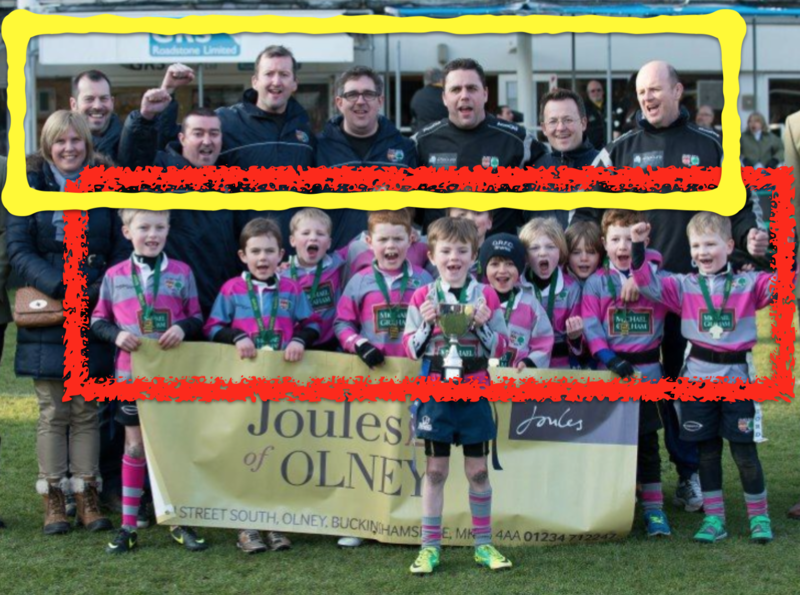 Picture 2 teams, one in their rugby shirts and the other with bibs over the top, within a 40m by 30m rectangle of cones spaced 5m apart around its perimeter. The session would last around an hour and I would let them play different games for 5 minute reps for 3 sets of 2 reps… so 6 games in total. For the first 5 to 7 sessions, 2-a-week, a particular player would just sit on the floor for the whole session. I wouldn’t ignore him completely but as I would walk past him I would make a non-verbal connection or offer a word of encouragement each time. I was growing to grow the Human Element and his intrinsic motivation. (It turns out he was there because mum made him go there so I could “baby sit” on a Friday afternoon). The results are mind-blowing…! Come a session towards the end of the 2 month mini-season in March and April, the boy was actively engaged in the games that we were playing… he would run with the ball… he would pass the ball to his teammates… he would tackle the opposition… he would run support lines… and I have a great picture of high 5ing the player to congratulate him on an awesome support line because if his teammates had offloaded to him… he would have scored. There’s then a break in the club season until October… so from May to September I didn’t teach or coach the boy… I only worked on the Human Element if I ever walked past him around school. These moments would always be positive and he’d have a great smile on his face each time! Which one is more important…?